I plan on cutting out a muslin using the old sheets of course before I go to bed tonight. We'll see if that happens as I just found the 2012 Billboard Awards are on. 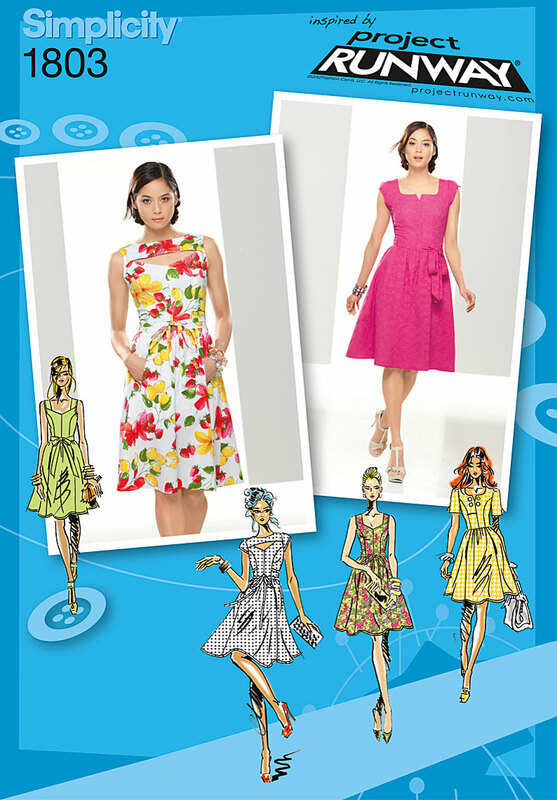 I'm making the dress on the left. I fell in love with the cut out neckline. 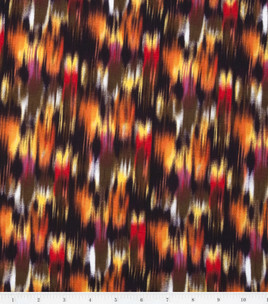 This will be my fabric of choice once I'm ready and confident enough to cut into it. Butterflies are my fave and I will be using the solid blue to interline the bodice and line the skirt as the fabric is pretty sheer. My next dress will be for a bachelorette party I'm going to in July. 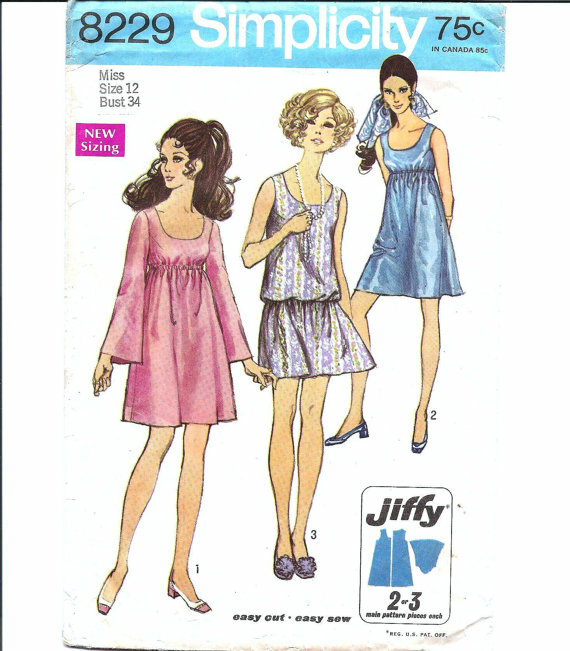 I wanted something vintage and I found this 1960's Simplicity 8229 pattern from ErikawithaK's Etsy shop. I'm making the drop waist jiffy dress in the middle with this rayon spandex print I found at Joann's. 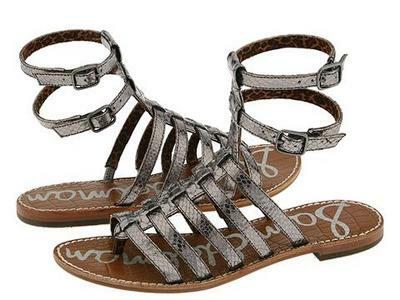 I think it would look good with a strappy flat, I hate the "gladiator" term but yes I guess that's what I'm talking bout. Next up I won a course on Craftsy.com!! I'm going to make the sleeveless version with the cutesy contrasting tie at the neckline and arms. Luckily I happened to stumble upon this coordinating cotton fabric in the clearance section at Joann's. At $4.00 a yard I went ahead and bought two yards of each. I'm going to try and make a panel skirt using the leftovers. Looking forward to seeing your progress! 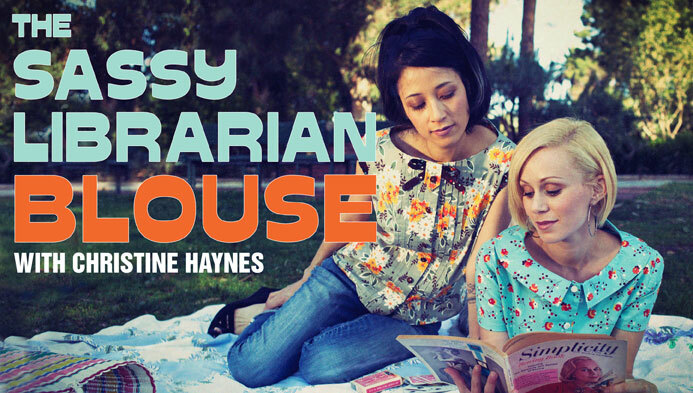 I'm itching to try the sassy librarian blouse. I'm excited to get started however the front pleats have me scared a little bit! Oh, no, Vito Bandito! This dress is so cute! And the sassy librarian blouse is adorable! 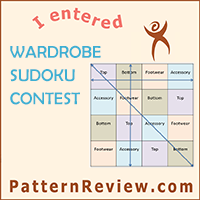 I can't wait to see what you make, love the fabric and patterns you have picked. Hello!! I'm hoping to have the dress finished this weekend. Well let me rephrase, I'm gonna finish it this weekend I don't care if I have to stay up all night! lol!